Are you living with a child who has sensory processing disorder? At least two of our children do and we’ve been working with them at home. In a perfect world, they would be seeing an occupational therapist, but that’s not in our budget or covered by our insurance. So if you’re trying to learn how to manage sensory processing disorder at home (like we are), here are a few tips from the book Sensory Processing 101 that are working in our family. This post contains affiliate links. For details, see our Disclosure Policy. Learn all you can about SPD. You’ll need to begin by learning everything you can about sensory processing disorder. For example, SPD consists of several different aspects, including trouble with vestibular, oral, or proprioceptive senses. Plus, you can have a child who has problems in more than one sensory area. Since some books on sensory processing disorder are a little complex, be sure to choose one that is written for parents, not therapists. Watch your child for sensory-seeking or sensory-avoiding behavior. Does your child deal with over-responsiveness to sensory input or under-responsiveness? If your child shies away from sounds or textures in food or clothing, then he or she might have auditory, oral, or tactile over-responsiveness. On the other hand, if your child deliberately does things in a loud or forceful manner, then he or she might be under-responsive to sensory input. In our family, our youngest son crashes into the floor (on purpose! ), stomps around the house (even when he’s happy), and speaks extremely loudly. Sometimes he doesn’t even feel when he bumps into things. Learning about SPD and observing him has helped us to recognize his specific sensory needs. 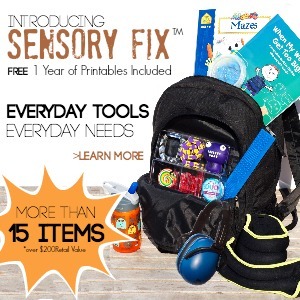 Include sensory activities in your daily life. Okay – so you know about SPD and you’ve learned which aspects are affecting your child. Now it’s time to put together a “sensory diet”: a routine of sensory activities for your child to do everyday. Believe it or not – sensory therapy consists of activities that you can easily adapt and do at home. Once you know which areas your child struggles with, you can make a list of daily activities (even chores) that allow them to get more sensory input through the day. Some of our favorites for our sensory-seeking kids include chewing crunchy foods, heavy work (pushing objects around), and wrapping up in tight blankets. 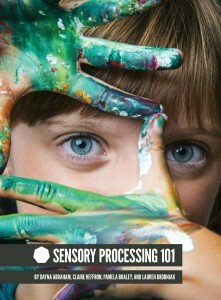 The ebook Sensory Processing 101 is a super resource for learning about SPD, recognizing the signs in your own child, and ideas for sensory activities you can do around the house! If you haven’t gotten a copy of the book yet, check it out below! 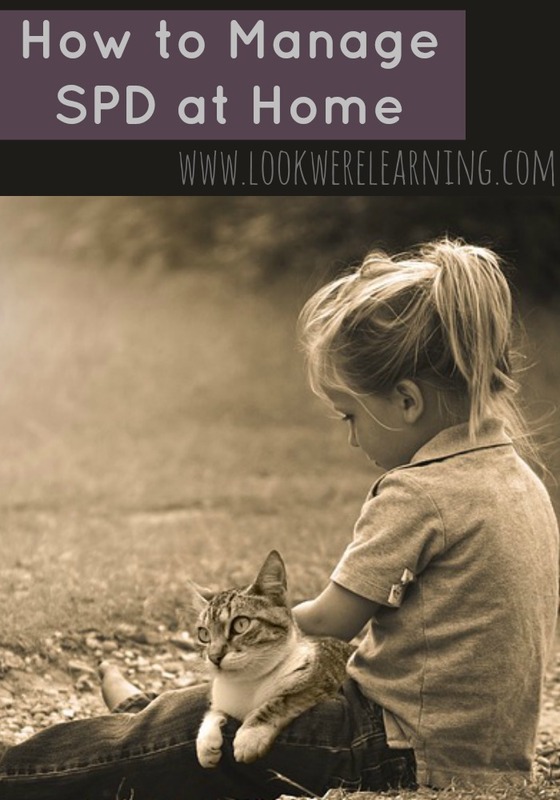 Are you living with a child who has SPD? Do you have any tips for how to manage sensory processing disorder at home? Let us know in the comments!